I would like to share some information about myself that may be of some interest to you. piano and/or voice teacher for yourself, or your child. Of course, my proudest achievement has been, and still is, being a mom. in Brockton, No. Easton and Holliston, Mass. I would much rather be talking about them right now, but that would take forever. It's a bit difficult for me to list all of the music experience that I have had in the last 30 years. So, I'm going to try to give you the shorter version. Ran Blake at the N.E. Conservatory of Music in Boston. Most of my students have come from Canton, Needham, Milton, Hyde Park, Stoughton, Sharon, Brockton and Easton, Mass. At the same time, I have also been the creative director and teacher for theater projects, summer camps and school enrichment programs in Dedham, Canton and Milton. At two years old, I began singing and "banging" out tunes on my mother's old upright piano that was housed in our two family house in Norwood. From day one, I was surrounded by music. My dad sang tenor with local Barbershop quartets, and my mom played piano for all of the neighborhood sing-a-longs. My uncle Frankie was a singing bartender in Cambridge and my Auntie Alice had her own Boston radio show. I was hooked on their music...so, by the time I was 7 years old, I had learned most of the songs from what is now referred to as, "The Great American Songbook". Of course, throughout all of my years at school, I was the first in line to audition for anything that gave me a chance to perform. That's the way it has always been for me. So, when it came to choosing my life's work...music won...hands down! 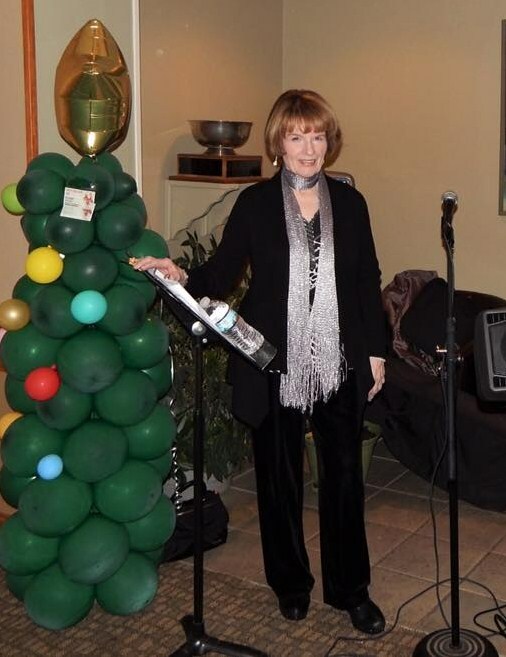 At the same time, I was the singer and mistress of ceremonies with my own Mary Lewis Trio. In 2002, I spent 3 years devoting my time to church music. In 2005, my daughter Peg and I formed a vocal and piano duet called Sweet Sounds Music. We entertain at weddings, wedding receptions, private parties and local clubs. I am also a freelance vocalist and /or pianist for local big bands and small combos in the South Shore area. I could go on and on...but, I'm sure that you get the idea. to me. I would love to pass it on to you!